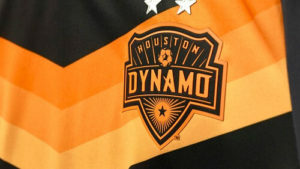 Houston Dynamo as their name indicates are based in Houston Texas. The club plays in the Western division of the Major League Soccer (MLS). Houston Dynamo’s home base was the Robertson Stadium located on the University of Houston campus from the inception of the club to 2011. In 2012 Dynamo moved to the BBVA Compass soccer stadium in Houston. Wilmer Cabrera was elected the team’s head coach in October 2016. The Houston Dynamo wasn’t always a Houston team. It was originally established by the Anschutz Entertainment Group on December 15, 2005 in California. However, after many failed attempts to secure a soccer-specific stadium in San Jose, California, they relocated to Houston. That is how what was simply known as The Dynamo became The Houston Dynamo. The club started participating in the league in 2006. They played their first major game in front of a crowd of over 25,000 beating Colorado Rapids 5 -2. The Dynamo beat other big names like Los Angeles Galaxy, New England Revolution and Chicago Fire amongst others. Houston Dynamo’s won both the 2006 and 2007 Major League Soccer Cups in their first two seasons. In 2008, Houston Dynamo was the first American club to earn a point on Mexican soil at CONCACAF Champions League. The team won U.S. Open Cup earlier in 2018. Houston Dynamo are a trailblazing club which has managed to make an impact on the local and the international soccer map. Even though the club is barely over a decade old, it has made some impressive moves. Recently they won their first US Open Cup title and, in that way, they secured a place in the 2019 leg of CONCACAF. Therefore, the Dynamo is definitely a sure big money bet. The team managed to qualify for the CONCACAF Champions League therefore they do perform well enough to bet on. The team has great players who are known to score goals so goal casts and totals bets would be safe bets where they are concerned.